Our St Patricks Day Activities guide referred to do some research. These pics might help, along with the links to more information or videos. If you are interested in history or science, you will enjoy these photos. Derry is still a walled city, the finest example of a walled city in Europe. I’ve also included photos of the results of a volcanic eruption, the making of china and an 18th century home that looks straight from Jane Austen. Take a look . . .
OK…these first pictures aren’t exactly history, but that rope bridge is about 70 meters above the water…and I am SCARED of heights. You can see how slowly I crossed with the crowd behind me. Yep, I made it! What they don’t tell you is the only way to get back to the parking lot is to come back across the bridge…oh no! It is absolutely beautiful once you cross the bridge and look back at the mainland. Next stop – Giant’s Causeway. It is the result of a volcanic eruption. There’s a legend that Finn McCool built the causeway to walk to Scotland to fight his Scottish counterpart Benandonner. To learn more about the formation of Giant’s Causeway or the legends about this geologic formation, click here. It started raining, so we didn’t spend much time at Dunluce Castle, but it is on the Irish Sea. I love this look from atop the hill, looking down to what most people don’t see about castles. If you are interested, read Castle by David Mcaulay. It’s the best book to explain the building of a castle. When we started walking around the walled city of Derry, I realized more about Ninevah. It was said that 6 chariots could race around the wall of Ninevah and this picture shows how. Walls around a city were not the same as the walls protecting a fort. They were huge. Four original gates allowed traffic in & out of the walled city. We visited with some men from the wall as we enjoyed the Guildhall. We learned that Bill Clinton spoke at the Guildhall. Derry & Belfast were home to the Northern Ireland troubles. We walked around parts of the city that were free and parts that were not free during “the troubles”. Clinton helped bring peace to the area. To learn more about this tumultuous time, you can search on youtube for a video appropriate for your family. Time for science…Belleek Pottery has a fabulous tour showing how china is made. If you can’t make it to Ireland for the tour, here’s an online video version. Beautiful handmade & handpainted china. I love this photo. I feel like I’ve gone back in time to the 18th or 19th century. Florence Court is a terrific example of homes in Jane Austen type novels. Do you want to join me for dinner? So you can’t stay for dinner…how about a picnic in the summer house? If you have a blog with travel pics, please share them in the comments. 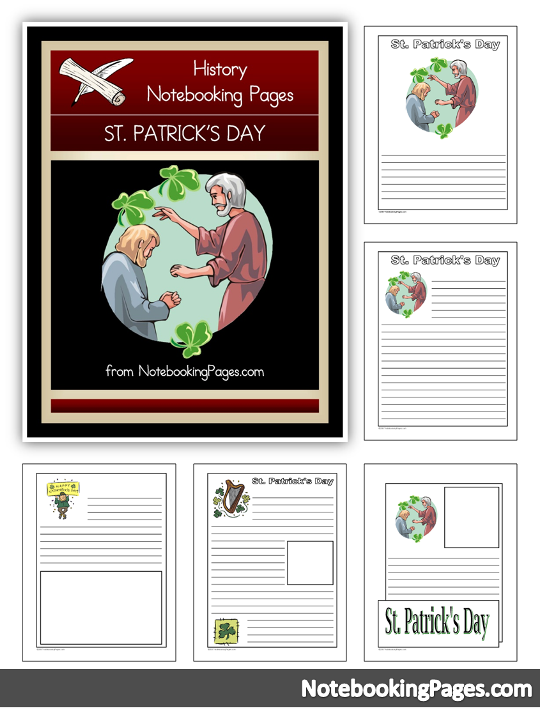 If you missed our St Patricks Day Activity Guide, go to the post below this one and sign up for it. You will receive it automatically in your email.